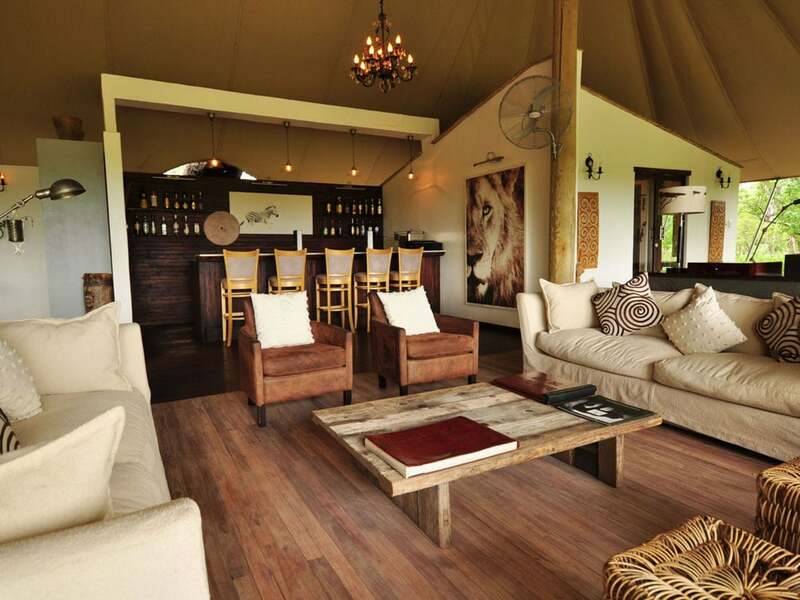 Set Located among ebony and sausage trees in a 260,000 acres of private concession in the Okavango Delta bordering the Moremi game Reserve, the classic Sanctuary Stanley’s Camp offers a varied game viewing experience as well as a unique elephant interaction experience. 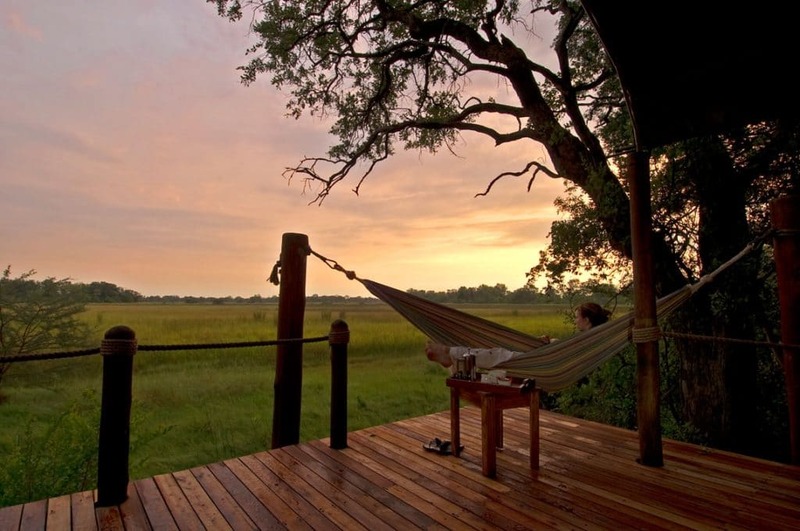 The natural wonders of the area constantly change over the seasons from lush green when the rain flows down the Angolan highlands to the dry savannah which the neighboring Kalahari Desert tightens its grip on the terrain. 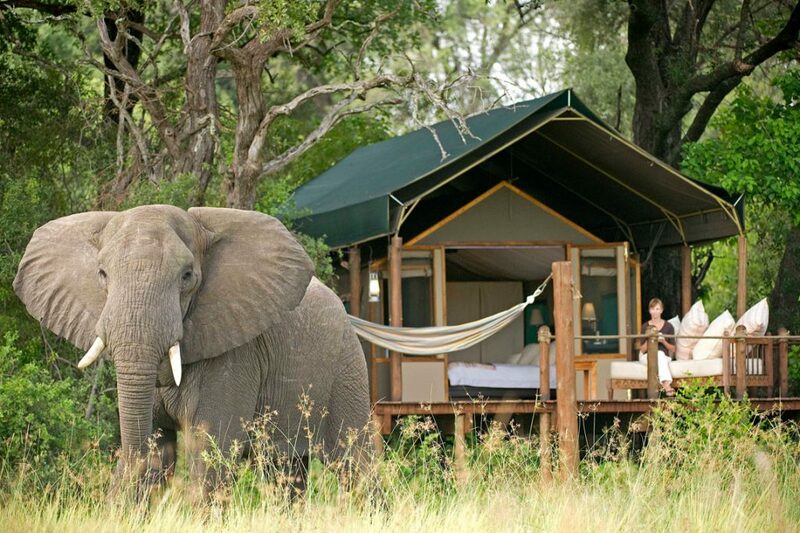 The camp is the home of unique living elephants interactions. 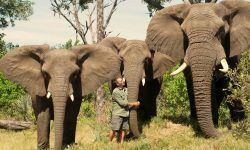 Walking with the trip of orphaned elephants is an uplifting experience and one that will remain with you long after you have left. 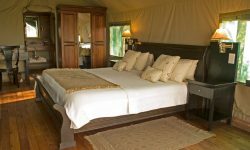 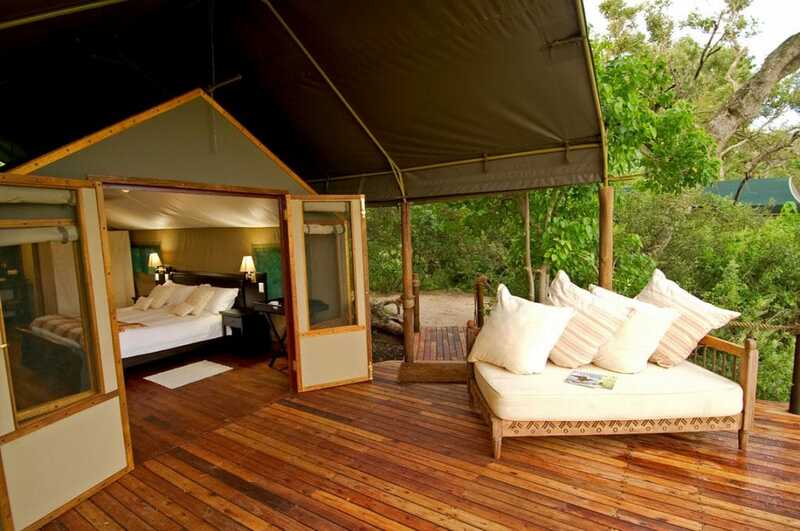 Sanctuary Stanley’s Camp is a classic tented camp with 8 tents built under imposing African Ebony trees overlooking the Okavango floodplains. 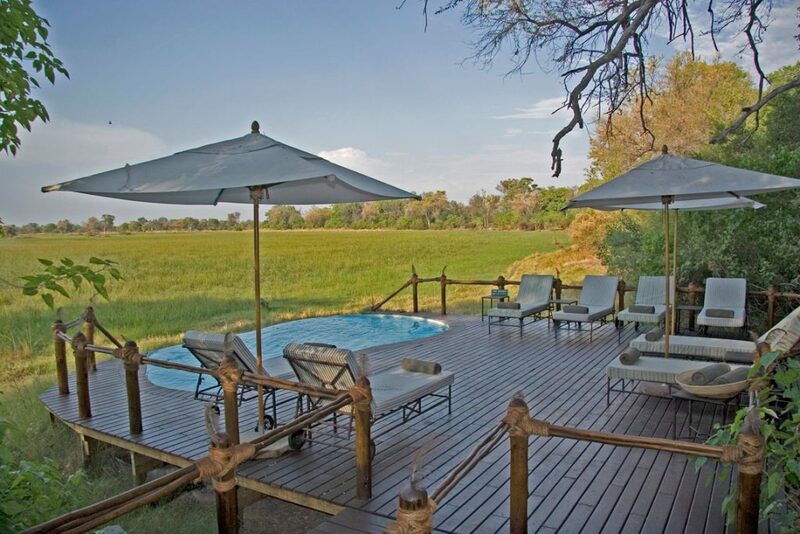 The camp also boasts a swimming pool to cool of on the hot afternoons with great views to see wild animals. 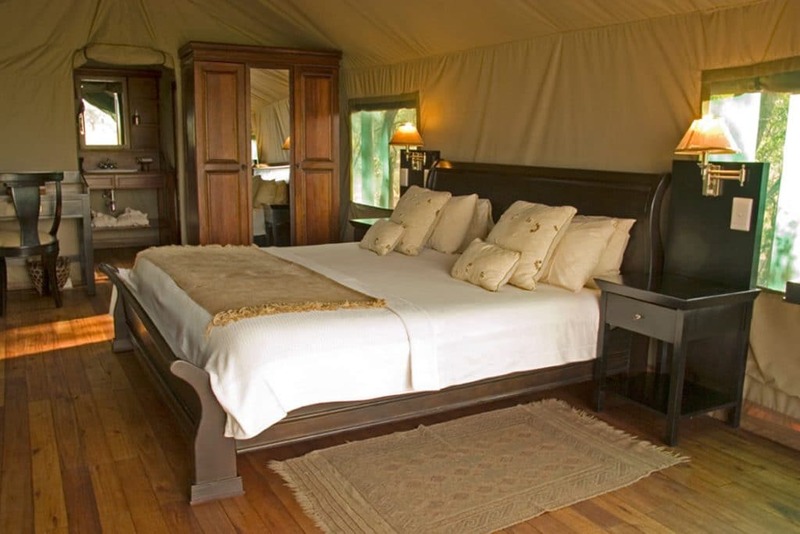 The tents are each individually designed, furnished with African antiques that exclude a classic and understated elegance that harks back to the explorers and colonialists of the 19th century. 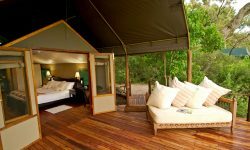 Each tent has a large wooden deck providing private areas where guests can relax in a hammock while soaking in the surrounding. 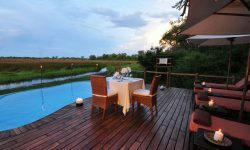 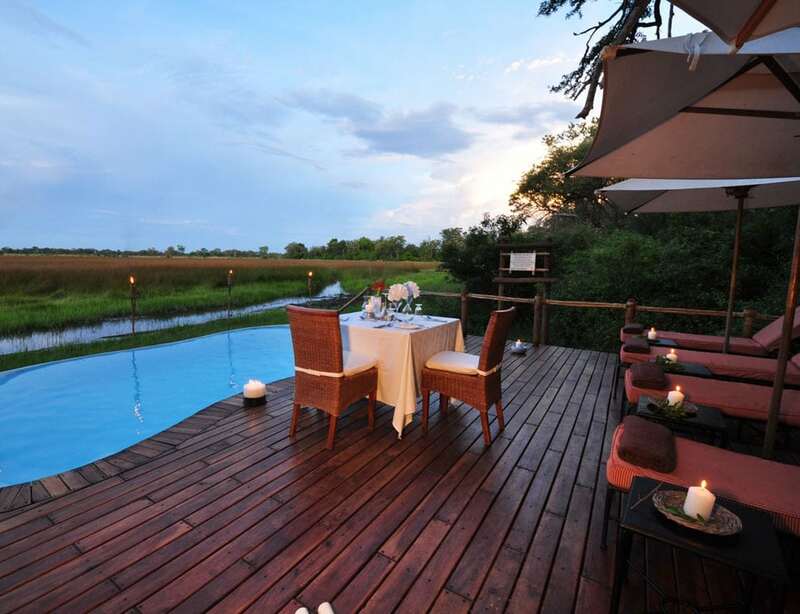 All meals are prepared fresh with a personalized service with the company of the 3 elephants or with your feet in the cool waters of the Okavango Delta. 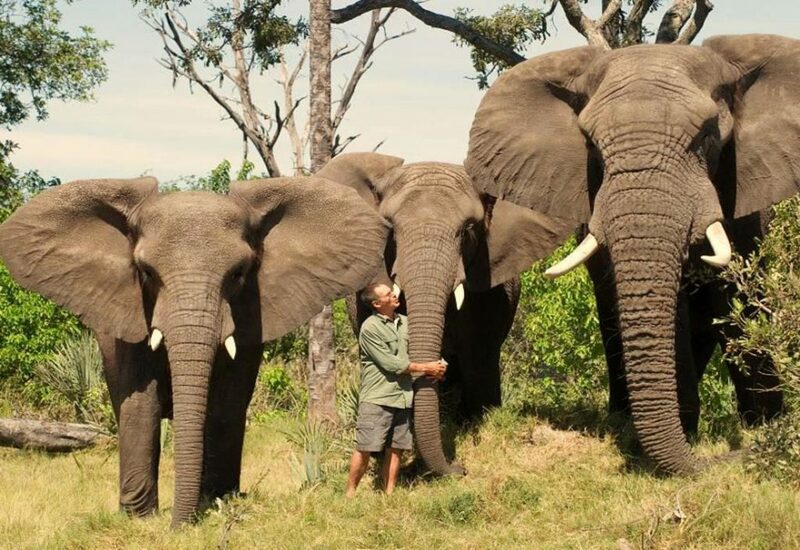 If guests wish to lunch with the Elephants a secluded bush setting will be in company with these three gentle giants, Jabu, Morula and Thembi. 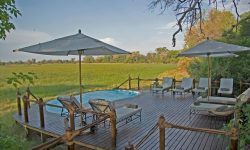 Game drives are not typical here, as water crossings are part of the adventure, and watching zebra standing belly deep in the water, grazing is a sight to see. 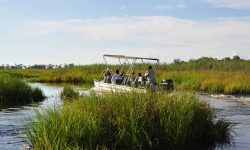 In high water levels, game drives will be combines with water based activities on motorized boats. 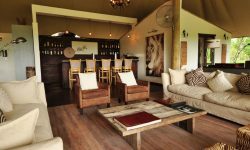 Being a Private concession night game drives are available offering a unique experience to see nocturnal creatures. 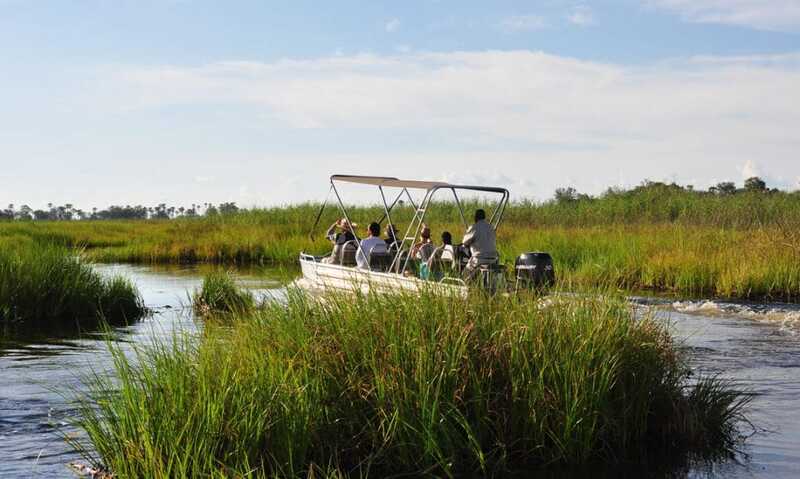 Guests can experience poled Mokoro excursions along the narrow channels while they sit back and relax as they glide through the lily ponds on local dug out canoes. 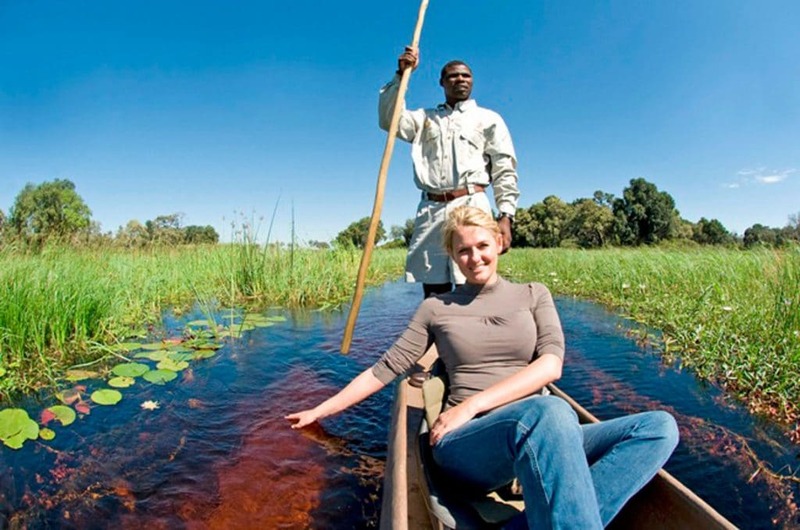 Walking Safaris are also a highlight with experienced guides. 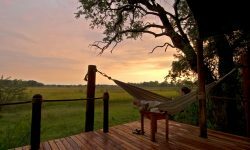 5 years and younger need to have private vehicle. 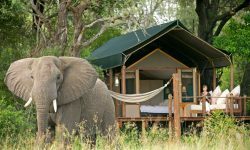 15 years and below must share a room with parents.